Together with the Olympia village of Albertville, names like Les Trois Vallées, Les Arcs and Val d’Isère are well known, especially to winter sports fans. However, where exactly these places lie, is only known to a few. But it’s just because the French alpine regions – apart from the Mont Blanc mountains – are perceived as almost exotic, it is all the more interesting to go and explore the area. 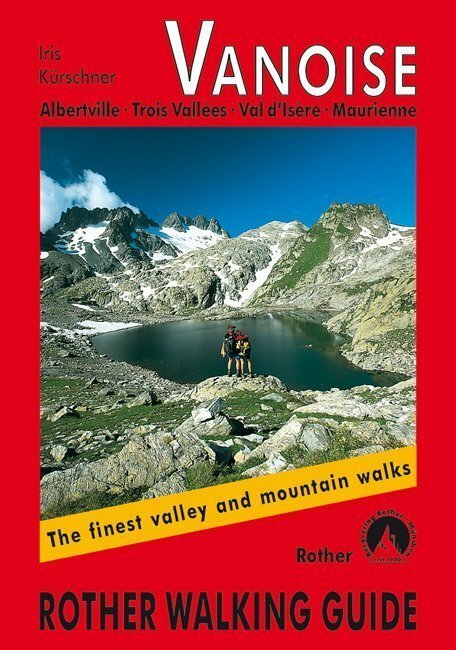 This Rother walking guide therefore offers over 50 varied walks around the Vanoise massif. The area surrounded by the valleys of the Isère and the Arc at the southernmost tip of Savoy, which shares a border with Italy in the southeast, is divided into the Tarentaise in the north and the Maurienne in the south. It was the rapid decline of the ibex which led, in 1963, to the foundation of the Parc National de la Vanoise, the first national park in France. Today there are more than 1500 ibex roaming again through the high mountains. Together with the wealth of animals, the park especially distinguishes itself with its large geological diversity. An abundant plant life can be found with many rare flowers. Countless crystal clear mountain lakes in which are reflected the snow-covered mountains, invite you to take an invigorating swim. You are presented at every step with magnificent views of glaciated mountains and idyllic high valleys where burbling streams cascade down over colourful stones and marmots call out their warning into the stillness. The walking possibilities are endless. In the Vanoise massif alone there are 500 marked paths with 66 places of accommodation at your disposal, and two long distance paths also go across the national park. Over a hundred peaks pass the 3000m mark, many of them relatively easy to access. Also in the enchanting border area outside the national park there are many delightful, often remote walks to be discovered. 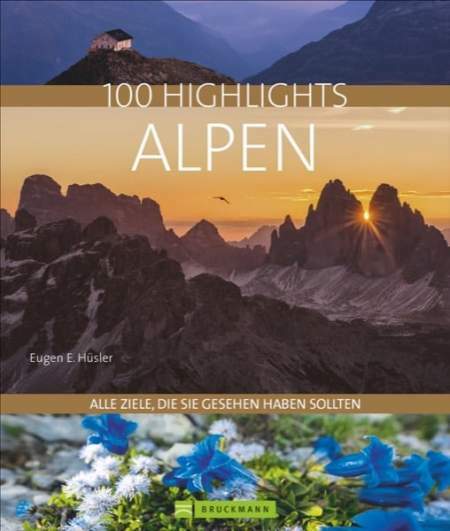 With numerous easy to moderately difficult panoramic and lake walks, as well as some easy to demanding high mountain treks, this guide book caters for all tastes. All of the 52 walks described in the book contain a fact-file of up-to-date information, a detailed route description and a small map marked with the line of the route. In this way the brilliant photos of the author and photographer Iris Kürschner provide an excellent impression of every walk and motivate you to go and explore the varied landscape in and around the Vanoise massif.